Dealing with pavement reconstruction dilemmas? Well, you are not alone, and we have the answers that you are looking for. Let’s check out 10 common asphalt pavement reconstruction dilemmas and the solutions. When Should You Resurface/Reconstruct your Parking Lot or Driveway? This should be done when the surface of your asphalt has become heavily oxidized, but the pavement base remains in good stable condition. The condition of the subgrade can be checked through core-testing when there is any question of what shape it’s in. How Long can you Expect Your Newly Resurfaced & Completely Reconstructed Pavement to Last? There are various factors that will determine the lifespan of your pavement such as the weather patterns, the harshness of the winter (freeze-thaw cycles), how many heavy trucks use the pavement, the thickness of the new asphalt layer, the exact condition of the subgrade before it was resurfaced and how well the surface has been taken care of. The average lifespan of pavement can range from 8-15 years; this may vary due to the above factors. This also tends to depend on the above factors. On an average, however, a newly reconstructed parking lot or road can last in the range of 15 to 25 years with proper maintenance. How Long Before Traffic Should be Allowed on a Newly Resurfaced Lot? You should wait a minimum of at least a day. Rubber tire traffic does not damage the new asphalt, but you should take care and avoid sharp turns, like turning the wheels on an unmoving vehicle. Why You Shouldn’t Resurface/Reconstruct your Parking Lot or Driveway During the Winter? Attempting to resurface your pavement in cold weather leads to the formation of cold “seams” which in turn lead to premature deterioration and failure. The general rule you should follow is to pave only when the temperatures are 50 degrees and rising. What Can You Do to Maintain Your New Pavement Asphalt After Completion? It is advisable to make a pavement maintenance plan and start budgeting as soon as your new pavement is completed. Due to weather conditions and various freeze thaw cycles which may cause cracks to appear after each winter. Annual filling of cracks and routine sealcoating beginning after the 2nd year of construction will keep your pavement in the best possible condition. Can You Resurface Over Cracked Pavement? It is possible to resurface over cracked pavement at times. Any linear cracks (cracks that form nearly straight lines) can be filled with a hot rubberized sealant. You can also use paving fabric over the cracks before resurfacing them. Alligator cracks need a lot more extensive work to fix, if a small area has alligator cracking, then it can be fixed prior to resurfacing. If the whole parking lot is riddled with alligator cracks then it requires complete pavement reconstruction. What Should My Annual Maintenance Plan be? Avoid unnecessary expenses in the long term by having your catch basins, retention basins and drains inspected and cleaned on an annual basis. Have your cracks filled annually. Just these two simple hacks can extend the lifespan of your pavement by a lot. We Call Multiple Contractors for Estimates and All the Estimates are Different: Why is This? It is very important to have the specifications drawn up from either a reputable engineering firm or a reputable paving contractor. Quotes tend to vary a lot if your contractors are not bidding on the same work specifications. Understand the process and carefully weigh your options before taking your decision. What should I Expect to Pay for My Paving Project? This can vary from individual to individual as each project’s needs are made up of different sizes and different scopes of work. When is the Best Time to Perform Patchwork Repairs? The spring and the summer months of the year are the best times to make patchwork repairs. This gives the asphalt a lot of time to cure over the winter and be ready for sealant the following year. Employing an asphalt paving company like Jackson Asphalt is the best way to ensure that your asphalt always remains in great condition. Call us to discuss your question and dilemmas! When you hire the trained and experienced professionals at Jackson Asphalt for the job, your pavement will soon return to looking as good as new! 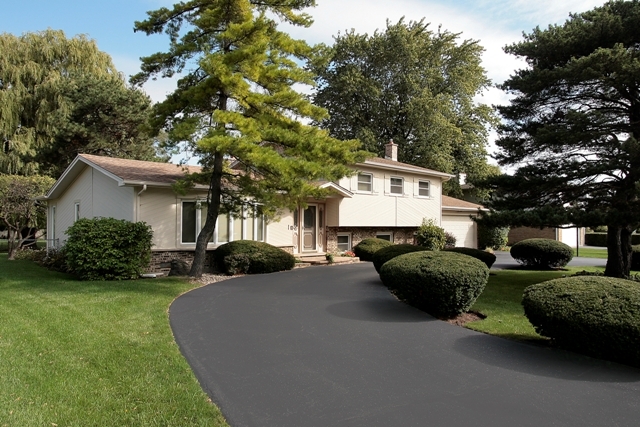 A well-laid asphalt driveway will easily last 20-25 years or more, depending on its usage. Asphalt can also handle greater pressure, making it more suitable for all kinds of private and commercial driveways. As compared to concrete, asphalt costs less to install. However, there is one thing to keep in mind. Many will tell you that asphalt driveways will need revamping sooner, but that’s only the case when they aren’t laid out the right way. Make sure an expert does the job if you really want to save your money! Once asphalt has been laid down, it does not take a lot of time to dry, and can be used almost immediately. 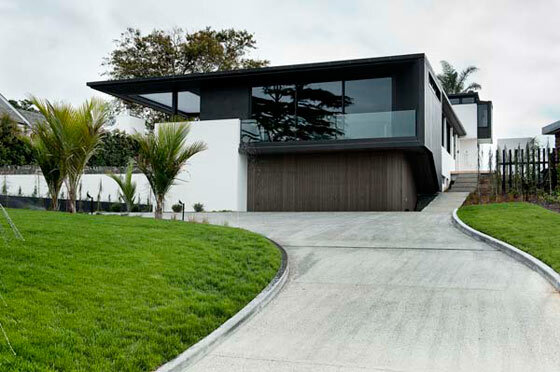 Concrete, however, takes around 7 days to set, during which time the driveway cannot be used. This is especially troubling for offices and other commercial establishments. Asphalt needs little to no maintenance. Small cracks can easily be filled with the plethora of inexpensive crack sealants available in the market. Larger cracks can also be repaired with ease. Damage can be simply removed and replaced in a very short time and driven over immediately. Because of its dark colour, any indications or marking on asphalt are immediately decipherable, while they can get a little hazy where the lighter concrete is concerned. Asphalt’s textured finish also ensures increased skid resistance. Asphalt paving has the ability to expand and contract according to the temperature it’s exposed to. This keeps it from sustaining heavy damage in extreme weather. On the other hand, concrete has the tendency to crack under pressure. One of the best advantages of asphalt that it’s recyclable. It can be reused as many times as required, which reduces waste and makes it an eco-friendly surfacing option. Concrete surfacing, on the other hand, needs to be completely replaced with fresh material when it’s redone. Oil leaks are barely visible against the black colour of asphalt, while on concrete, ugly stains are quite easily apparent. 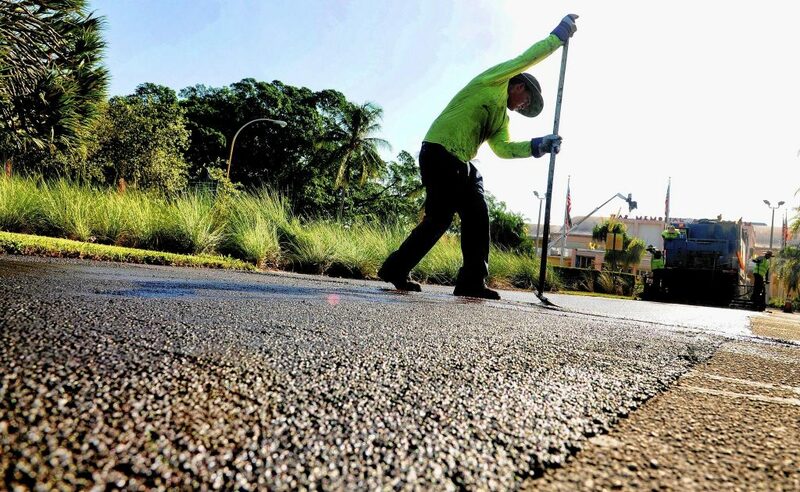 Moreover, asphalt is more adaptable to changes in soil, humidity and other factors, whereas concrete is prone to cracking under the same circumstances. Asphalt driveways are more hardwearing than concrete or gravel. They can withstand weather elements, including heat and cold, rain and dry weather, as well as pressure from all kinds of vehicles large and small. It is also ecofriendly as it is recyclable which makes it ideal for all kinds of surfacing applications. Most homeowners today want their driveways paved with asphalt because it is a tough and resilient material that doesn’t flake or crack easily. Even if cracks appear, they can be fixed at a low cost without needing extensive repairs. Why Does an Asphalt Driveway Need Maintenance? While asphalt driveways are generally low maintenance, some upkeep is still required to ensure the asphalt retains its resilience over the years to come. Regular maintenance also helps to protect against agents that can damage the asphalt paving. Low-lying sections of the driveway can become flooded with water, which looks very unappealing and can cause the paving to crack. If the water pools are very deep, repairs are needed before further deterioration occurs. Weeds etc sprouting up around the kerb edges or up against wall should be removed to prevent damage. Cracks can develop due root damage, truck damage or base issues. If left unrepaired, these will simply grow with the onslaught of rain and heat, adding to the eventual repair cost. Potholes can also develop on asphalt driveways. Potholes detract from your home’s appearance, and can also cause tripping or tire damage. If they are not repaired they will continue to grow. All the issues listed above can be fixed easily, provided you take action in time. Make sure that proper installation procedures are used when the asphalt is laid, and keep on regularly checking up on its condition. While asphalt is extremely low maintenance a good preventative maintenance plan will save you a lot of headache and many costly repairs in the long term. While potholes, cracks and water pools can wreak havoc on your driveway, a good maintenance team can easily repair them before extensive damage occurs. When you hire the trained and experienced professionals at Jackson Asphalt for the job, your driveway will soon return to looking as good as new!